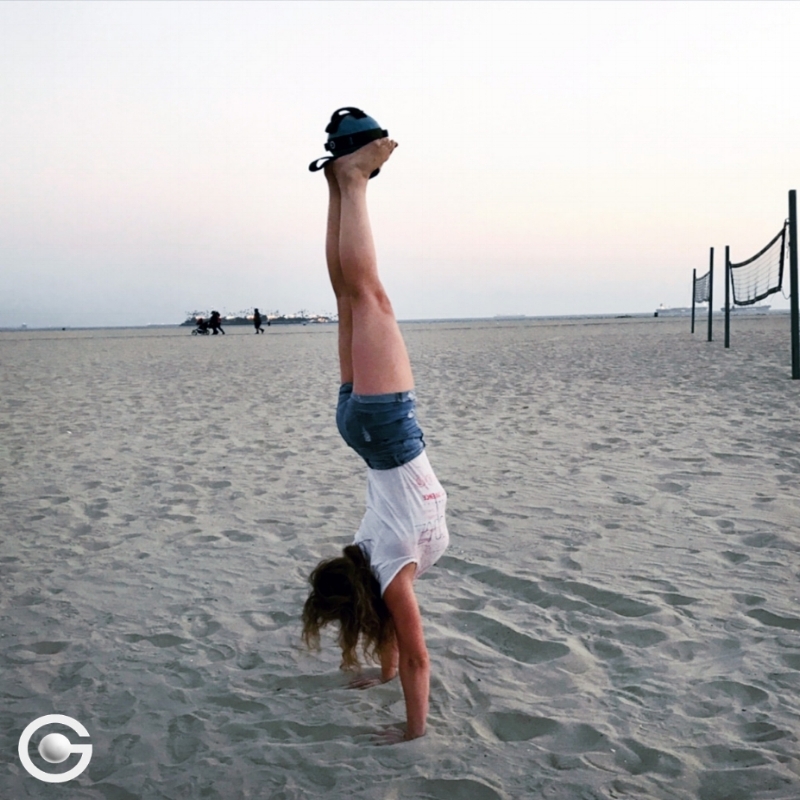 Handstands are an extremely underrated exercise says, Krista Stryker, creator of the 12 Minute Athlete who shares some tips for how to start doing handstands. Handstands build real strength especially in your chest, shoulders, upper back and arms because your upper body becomes the base for supporting the rest of your body while you're upside down. While you're inverted the muscles of your core, hips, back and legs are working hard to stabilize you and prevent you from falling over. Practicing handstands regularly will greatly improve your balance. Handstands improve circulation as blood flows away from your feet and towards your head. This increased blood flow to the head combined with deep breaths contributes to a positive mood and feelings of wellbeing. Blood flow to your head also helps regulate your endocine system which includes your pituitary, thyroid and adrenal glands that control metabolism and stress levels. Handstands also help to stimulate the digestive organs. 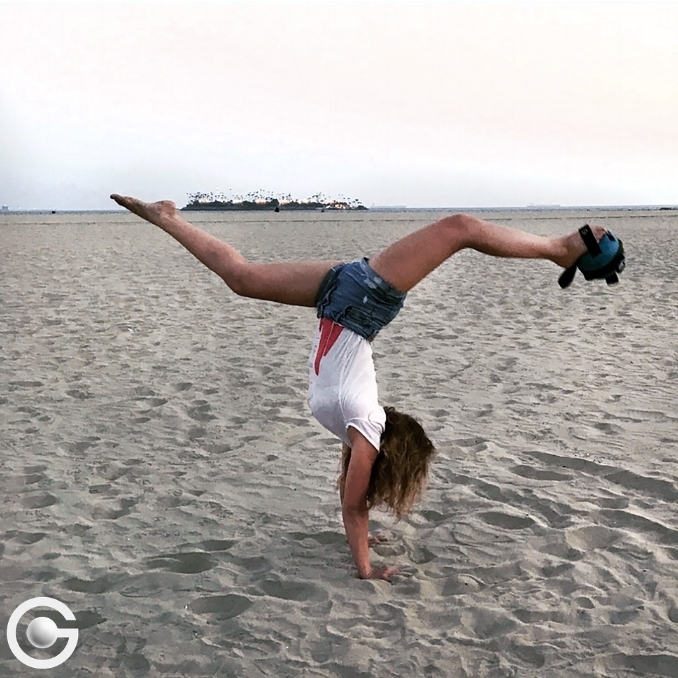 Ashley, a former gymnist is shown here doing a handstand with a 5lbs Gravity Ball attached to her foot. In order to get into the handstand, she first attached the Gravity Ball to her foot and then propelled both legs up into the handstand before slowly allowing the weight to fall down on one side. Impressive! If you're just starting out, here's a really helpful article that shows you how to progress to a freestanding handstand.